When it comes to smart home and home automation, people think of lights, thermostats, security cameras, the entertainment system. Rarely do smoke detectors even cross peoples' minds during the entire home automation project. Well, they should. With your ordinary smoke detector, checking batteries every six months and random beeping because of a dead battery are par for the course. Very frustrating especially when you cannot find the source of the beep even though you've checked all the smoke alarms in the house. Say goodbye to all these hassles with Smart Smoke detectors - never has it been more convenient to keep your family safe. With smart smoke alarms, say goodbye to having to climb up and down your ladder, checking the batteries of all the smoke detectors in the house every six months. Smart smoke detectors do that on their own and if they detect that the battery is low, they will send an alert to your smartphone. An added advantage is that not only do they alert you to the fact that the battery is running low, they will also let you know which smoke detector in the house is facing a battery power shortage. This way, you don't have to check each and every one of them. Many smart smoke detectors allow you to silence the alarm using your phone instead of manually trying to fan the smoke away. This way, you don't have to deal with annoying false alarms as much. So smart smoke alarms are more convenient but are they safer? With a regular smoking alarm or detector, you have to be the one calling the fire department. Every second counts when there's a fire and you lose precious seconds making that phone call. Another problem with regular smoke alarms is that fires can happen when you're not at home. You could be at work or on vacation and a fire could start. If no one's at home, by the time the fire department is alerted, it is probably too late. 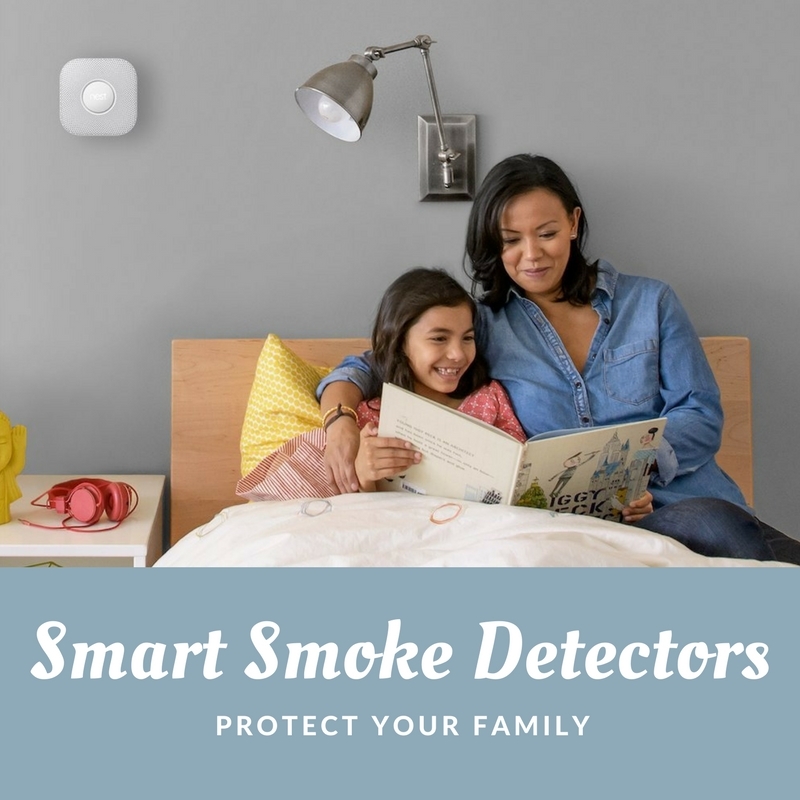 Smart smoke detectors can call the fire department and other emergency services when they detect a fire in the house, giving you peace of mind to get yourself and your family to safety first. Dealing with a fire can be overwhelming, so it is important to have all the help you can get. Now that we have seen the advantages that smart smoke detectors have vs ordinary smoke alarms, here are the top smoke detectors on the market today. They're not listed in any particular order and you can't go too wrong with any of these picks. The 2nd Generation Nest Protect also has a cool chiming feature that is very handy in multi-story homes especially. If one detector senses a problem, all detectors will start chiming. So there's no worry about being alerted late. 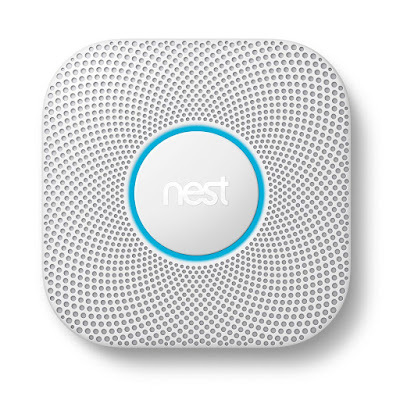 Any fire in the kitchen and both your kitchen's Nest Protect as well as the Nest Protect in your bedroom will start to chime. Just in case no one is home, the Nest Protect will also send an alert to everyone via the app. A common frustration many have with older smoke alarms is that they go off when you take a hot shower. Steam is not smoke and the Nest Protect knows it. It has Steam Check which uses its humidity sensor and an algorithm to differentiate steam from smoke. Pretty cool, eh? Carbon monoxide is a poisonous gas but you can't see or smell it. Over a million homes in the United States experience high levels of Carbon Monoxide every year and one of the major culprits are leaks in the heating system. If you already have a Nest Thermostat in your home, then it might be advantageous to pair it with a Nest Thermostat. In an emergency situation like a Carbon Monoxide leak, the Nest Protect will tell your Nest Thermostat to turn down the heat, helping to prevent the danger from spreading. Silencing the Nest Protect is easy. No more waving your towel or rag needed. If everything is under control, simply silence the alarm using the Nest app. Getting a Nest Protect also means no more chirps at two in the morning because the batteries are running low. Way before the batteries die, you'll get a prompt on your phone to alert you. No need to climb up and down the ladders to test the alarms periodically either. You can test all the alarms in your house with a simple tap of a button on your smartphone. In terms of features, the Nest Protect is probably unparalleled on the market today. If there was a drawback to this beautiful device, it is its price. Getting them for your house would probably cost around $200, assuming you get 2 devices. That might be more than what most people are willing to pay for a smoke alarm, but you can justify the price by factoring in the fact that they last for 10 years instead of the usual 7. 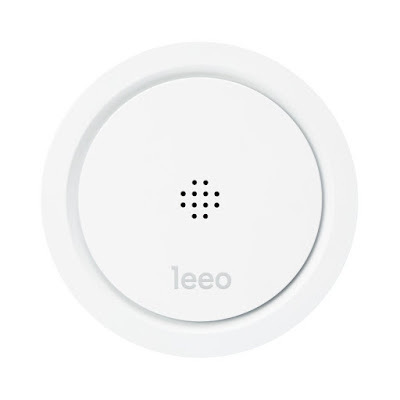 Technically, the Leeo Smart Alert isn't a smoke detector in itself. Instead, it works with your existing smoke and carbon monoxide alarms, upgrading them to "smart alarms". Plug in this safety device into any power socket and it will let you know via your smartphone if any of your home's smoke or carbon monoxide detectors go off. The app also allows you to dismiss the notification or call 911 from wherever you are. There is no complicated setup involved with the Leeo Smart alarm, nor are there any monthly fees. 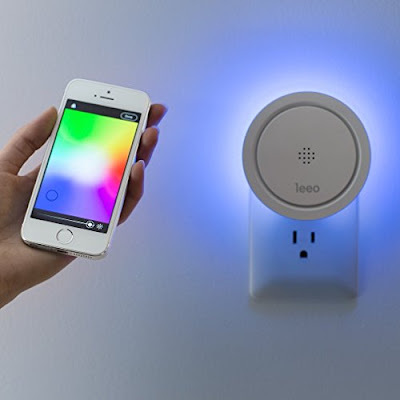 Leeo works with the existing alarms in your home. All you need to do is to plug it in and connect to your home's WiFi! This makes the Leeo a much lower cost alternative to a true smart smoke detector like the Nest Protect. That said, if you just want the peace of mind that comes with getting alerts on your phone when the smoke / carbon monoxide detectors go off, then it is hard to find a cheaper or easier solution. Depending on the size of your house, you would probably need only 1 or 2 of these. It is important to note that the Leeo only detects modern smoke alarms, the kind with 2 or 3 beeps. If your alarm has a continuous beep like they used to have in the 80s, then you will need to replace those as well. To be honest, those smoke alarms were due for a replacement anyway. As an added bonus, the Leeo Smart Alert also makes for a very nice RGB light. You can control it from the smartphone app and it's much brighter than most other nightlights. The downside of the Leeo is that you will still need to do all the usual maintenance and inspection work as you would with standard smoke detectors. This means climbing once or twice a year to check that the alarms are still working, chirps at two in the morning because the batteries are running low, etc. 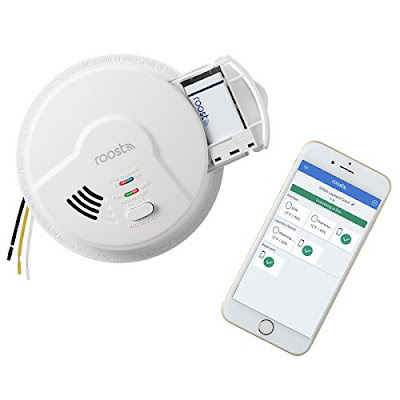 The Roost RSA-400 Smart Smoke Alarm, with its 4-in-1 detection, detects fast flaming and slow smoldering fires, carbon monoxide and natural gas and improves the safety and convenience of your home by bringing alert notifications to your smartphone. 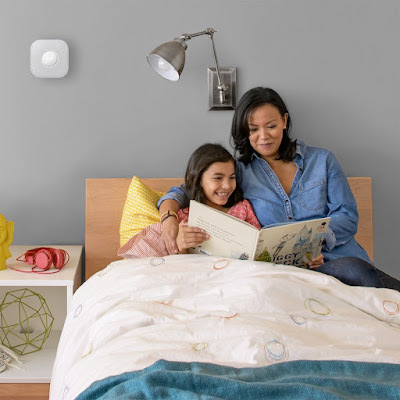 The Roost RSA-400 brings all the conveniences of a smart smoke alarm that you would expect like smartphone alerts and low battery notifications. The Smart Alarm Universal Sensing Technology means that its sensors have ionization and photoelectric sensors. These combine to significantly reduce the number of false alarms, which can be a terrible nuisance. Its 2-in-1 Detection is able to detect and differentiate between fast flaming and slow smoldering fires. It claims to respond very quickly to both. Installing the Roost smoke alarm is also very easy. Simply install the alarm on the ceiling and download the Roost app. Once you're done, connect the alarm to your home Wi-Fi and connect to home Wi-Fi in minutes. 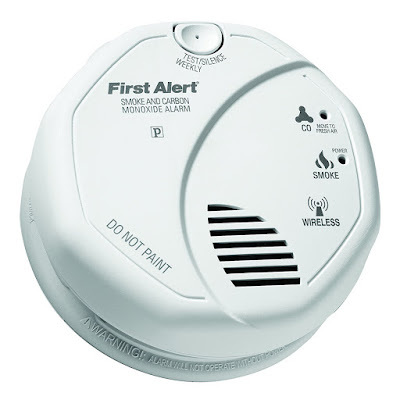 The First Alert ZCOMBO-G is a 2-in-1 smoke and carbon monoxide combination alarm that uses the z-wave protocol. It is pretty basic on its own but this battery operated alarm will operate with other 3rd party z-wave devices. Pair the First Alert ZCOMBO-G with the SmartThings Hub and you can do some pretty cool things with it. If the alarm is triggered, your smart app can activate your speakers and lights to go off as well. Just to make sure that anyone at home is instantly alerted. You could also instantly activate any compatible smart cameras so that you can actually see what's going on, if you're not at home. It is important to note that this smoke detector isn't compatible with the Wink Hub at this point. So if you're looking for one that's compatible, this isn't the one for you. 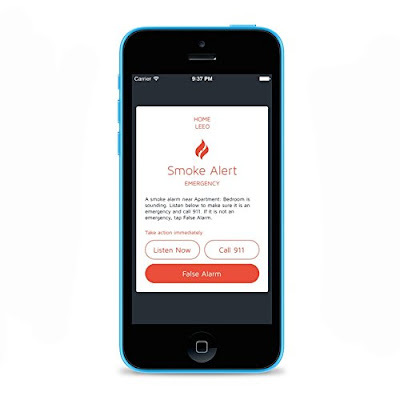 Smart smoke detectors bring added convenience and safety for your family and home. Sure, they're a little more costly, but it is hard to put a price on safety. The Nest Protect is a pretty good "plug-and-play" option and highly recommended if you don't want to spend too much time configuring and linking with a Smart Hub. If you're looking to save some money but still have "smart" smoke alarms, then Leeo Alert, First Alert ZCOMBO-G or the Roost RSA-400. Thanks for taking the time to read our guide to the best smart smoke detectors out on the market today. In full disclosure, there are affiliate links in the article above. It won't cost you any extra but it will help us to keep the site going. Thank you so much for your help all these years.